November 14, 2012 marked ten years since the last new Breath of Fire release (Breath of Fire V: Dragon Quarter) made its way to Japan. Ten years is a pretty long time, and it’s incredible to think that fans have been waiting this long for a sequel to this beloved and unappreciated JRPG series. It’s been an interesting time with the emergence of big game movements such as Operation Rainfall, Operation Moonfall, and 100,000 Strong for Mega Man Legends 3, and now it’s time to do the same for a series that doesn’t always get the recognition it deserves. Breath of Fire, released in 1993 in Japan on the Super Famicom and in 1994 on the Super Nintendo Entertainment System, was Capcom’s first foray into the realm of the JRPG. As of June 2012, the series has sold over 3-million copies. On a personal note, Breath of Fire was the first RPG I ever played. I still remember my father purchasing that game in 1995 for my six-year old self as an early Christmas gift for me, and it radically changed the way I played games. It marked the first time where I became incredibly engaged in the story, world and music of a videogame. 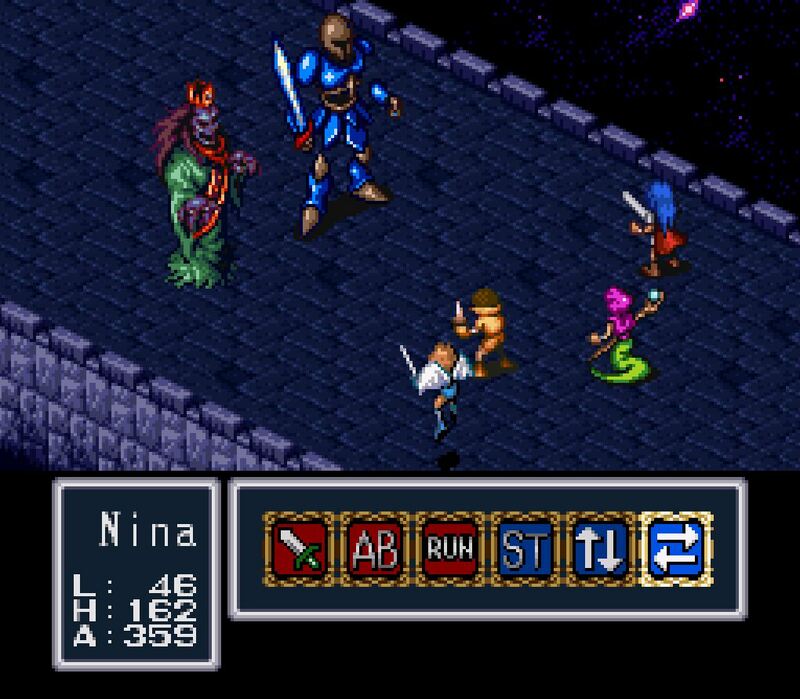 You have no idea the kind of excitement and shock I got from seeing Nina in trouble at Karma Tower, with her fellow soldiers slain by the evil Wizard that resided there, or witnessing the intense destruction of Tuntar via an Evil General’s manipulation of the Stone Robot. The first overworld theme became etched in my head and I would hum it to no end. That composition still remains one of my favorite orchestral tracks in a videogame. We’ve seen Capcom re-release some BoF games (Breath of Fire I & II on GBA, Breath of Fire II on the Wii’s Virtual Console, Breath of Fire III for PSP/PSN in Japan/Europe, and Breath of Fire IV on Playstation Network in North America over a year ago), and while these re-releases are nice, we’re still yearning for that big sequel announcement. It was a little heartbreaking to read that, and even though there were rumors afterward of a Breath of Fire revival via Golden Sun developer Camelot, that never came to fruition. I would understand Capcom’s reluctance in creating a big team to make a Breath of Fire title that would rival Dragon Quest or Final Fantasy. I know that in this current game market, it’s simply not viable (perhaps Namco Bandai’s release of Ni No Kuni next year will change that). So why not think smaller, meaning handhelds? There’s great potential for a Breath of Fire title on the 3DS or Playstation Vita, and it would stand out a lot more if one was made for those platforms. Thankfully, with last year’s release of Breath of Fire IV on Playstation Network and the Breath of Fire references included with Ultimate Marvel vs. Capcom 3, I’m happy to say that Capcom hasn’t completely forgotten about the franchise. But there could be so much more! The only issue is that the fanbase isn’t as united as it should be. There’s a Breath of Fire wikia that needs more information. The Dragon-Tear forums aren’t as busy as they should be. Breath of Fire fans on the Capcom-Unity forums have one thread to discuss the game in. I would love to see the Breath of Fire Facebook page that I created flourish. I think a big success would be to get as many followers as we can and, starting December 1, 2012, do a mass posting on Capcom’s forums, Facebook and Twitter pages declaring our love for Breath of Fire and a request for a sequel. One of the most important goals will be to come into contact with the Japanese fanbase and put our heads together. After all, Capcom USA wouldn’t be the one who would give the green light to a new Breath of Fire project. That power belongs to Capcom Co., Ltd. in Japan. You’d be surprised at what Famitsu readers’ response was to their most-wanted Capcom sequel. Breath of Fire was in the first spot, followed by Monster Hunter. Yes, that’s right: Japanese gamers want a Breath of Fire sequel more than a Monster Hunter one, a game that’s ridiculously successful in Japan. Doesn’t that tell us something? Doesn’t Breath of Fire IV being the 15th best-selling PSN game in September 2011 in North America also tell us something? There’s still a fanbase out there! A new Breath of Fire would be lucrative with the right amount of marketing and support! And would it hurt Capcom to start small, perhaps offer some Breath of Fire merchandise on the Capcom Store or feature a playable Breath of Fire character in a future fighting game or crossover (hint hint) RPG of theirs. Finally, I would like to leave you with a video I recently made on Youtube to get fans of the series (and newcomers alike) pumped up for the campaign. Enjoy.